Nothing will change your life more than optimized lighting in your bathrooms. This is a room that is used for all sorts of tasks, including brushing your teeth, shaving your face, putting on makeup, bathing and more. There are many reasons to invest in the lighting in your bathroom — more so than the other rooms in your home. Thinking about updating the lighting in your bathroom, but are looking for someone or something to give you that final shove to get your project moving? 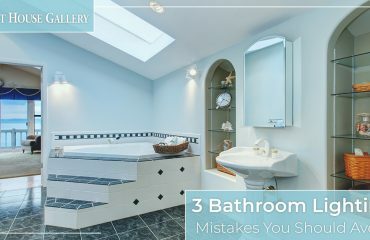 In today’s blog post, we’ll go over five of the many benefits you’ll reap if you opt to update your home’s bathroom lighting — hopefully encouraging you to make a concrete decision. At The Light House Gallery, we offer a large selection of bathroom lighting fixtures in our Missouri lighting showrooms, located in Springfield and Branson. Ranging in style, size, color and affordability, we’re sure you’ll find bathroom lighting solutions that match your lighting aspirations and goals. Contact us today for more information. 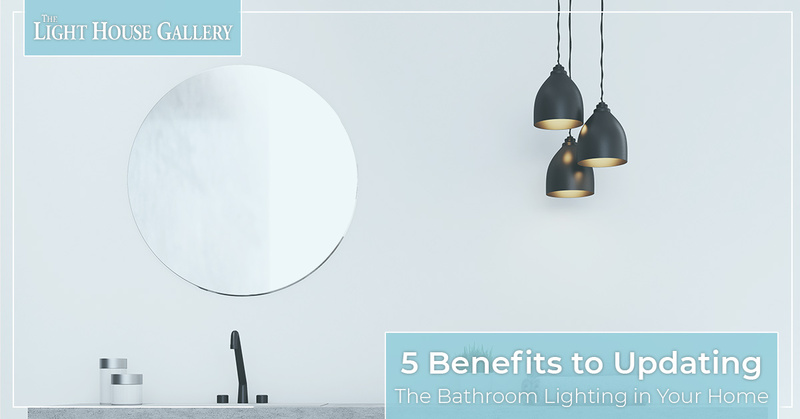 Continue reading below for our list of five benefits to updating the bathroom lighting in your home. 1. You can prevent shadows near your vanity. Nothing is more frustrating than putting on makeup in your bathroom then walking outside and looking completely different in natural light. The same could be said about shaving and discovering that you missed a spot! If you decide to update your bathroom lighting, you can choose light fixtures and bulbs that will brighten up your bathroom for optimal lighting. 2. You can make the room more personalized to your style. 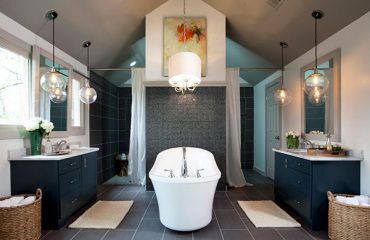 Whether you want to add a chandelier above your tub or you want to spruce up your vanity space, you can swap out your old boring bathroom light fixtures for ones that fit your taste a bit better. 3. You’ll make the room safer. Forget the days of stubbing your toes, cutting yourself while shaving or running into doors and cabinets. Updating your bathroom lighting will properly illuminate the room, ultimately making it safer to navigate. 4. You can switch to more energy-efficient lighting options. Old light fixtures are generally less energy efficient than newer bathroom lighting models. Updating your lighting could save you a few extra bucks on your energy bills every month — and you can brag about being more environmentally friendly, too. 5. You can properly layer your lighting. Most homeowners don’t realize they need three types of lighting in every room — accent lighting, ambient lighting and task lighting. When you update your bathroom lighting, you can meet with one of our lighting experts to chat more about how we can incorporate all three layers of lighting in your bathroom. If you’re looking for high-quality bathroom lighting fixtures for your bathroom remodel, shop our selection at The Light House Gallery. Our Missouri lighting showrooms offer an array of bathroom lights that are made by some of the best and most trusted brands in the nation, and there’s a reason our customers have been returning to our lighting showrooms for their light fixtures for more than 50 years — we offer some of the best customer service in the local community. Contact us today to schedule an appointment with one of our knowledgeable and experienced lighting experts, or simply stop by either our Branson or Springfield lighting showrooms. 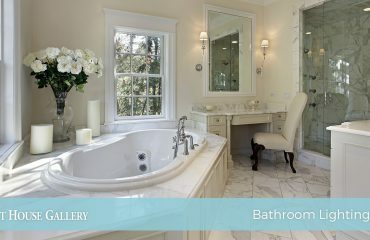 We’ll be more than happy to help you get the bathroom lighting of your dreams!